Just because you are a bit on the large (cuddly) side doesn’t mean you can’t find a fantastic Halloween costume to wear this year. They used to simply call plus size men’s costumes “big and tall.” But now they have the same as the women’s line of clothing, and there are plenty of choices for you this Halloween night. 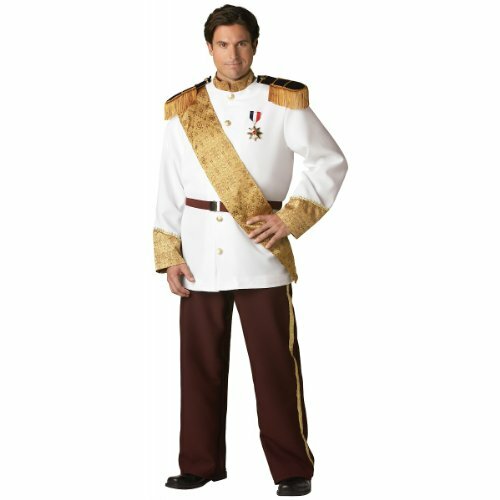 The top selling men’s plus size Halloween costumes include some classic example, character costumes, and scary ones, too! A toga outfit is very popular with plus size men. It’s comfortable and brings back beloved Animal House memories. 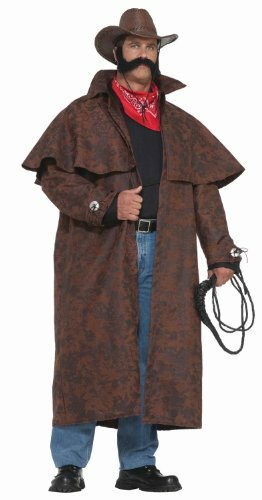 Another costume for plus sized men that exudes comfort is the horror movie costume from Scream. The mask is worn with a black hooded robe costume that covers you from head to toe. Carry a knife (maybe one with animated blood in it) and it will scare everyone this Halloween. If you’re into pirate movies, you might want to check out the plus sized Jack Sparrow costume for men – straight from the movie creation of Pirates of the Caribbean. If you don’t have long hair like Jack, you can wear a wig to the party instead. 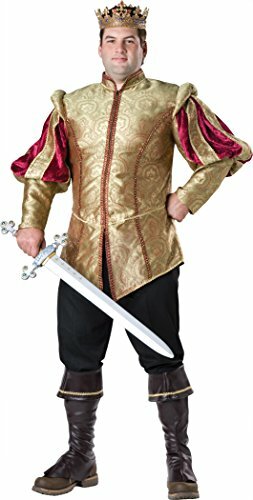 One bestseller is a plus size man’s Viking costume. 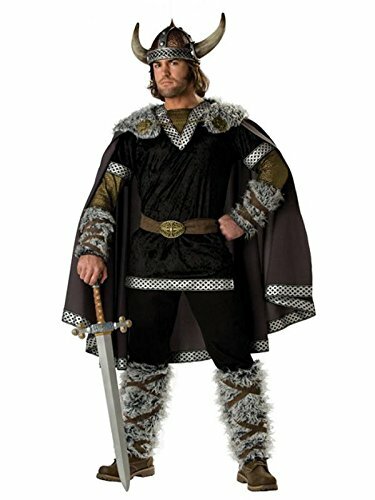 This is perfect for a man who has a formidable presence in the room when he walks in – and the costumes, complete with Viking hat, look intimidating. Carrying a sword will complete the look. 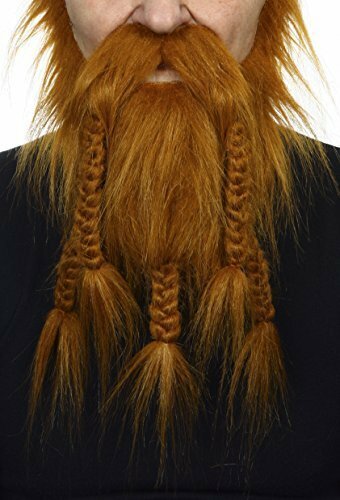 I love the plaited fake bread in a lovely Viking ginger color. 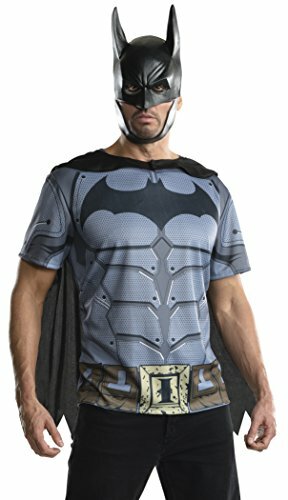 If you want to wear a superhero costume, they have those in plus sizes for men, too. You can find them for Green Lantern, Batman, Spiderman, Thor, Iron Man, Wolverine, and any other popular characters you’ve seen in the comics over the years. Career costumes are popular choices for larger men, too. You can wear a costume to be a police officer, firefighter, athlete, referee, chef, doctor, pilot or military man. Women love a man in uniform! One really fun way to dress up this year is to buy a head to toe spandex suit, or morph suit in a color of your choice. 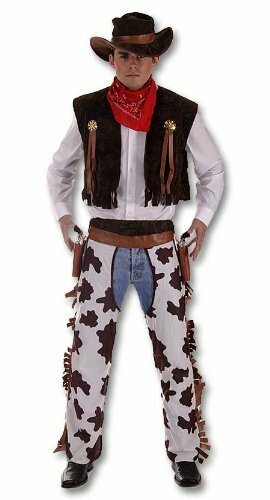 These costumes can be accessorized in any way you see fit. You can see out of the material, and even drink through it, so there’s no need to keep removing your mask throughout the night. Ask your special lady friend if she’s dressing up as anything special. 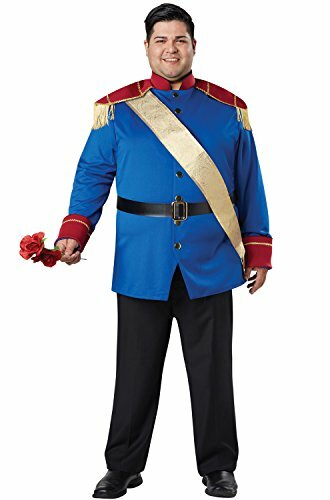 If she’s Cinderella, for instance, then you can buy a plus sized men’s Prince Charming costume. If she’s Snow White, you can go as a Huntsman. If she’s dressing up as a Geisha girl, then you can dress like a samurai warrior. 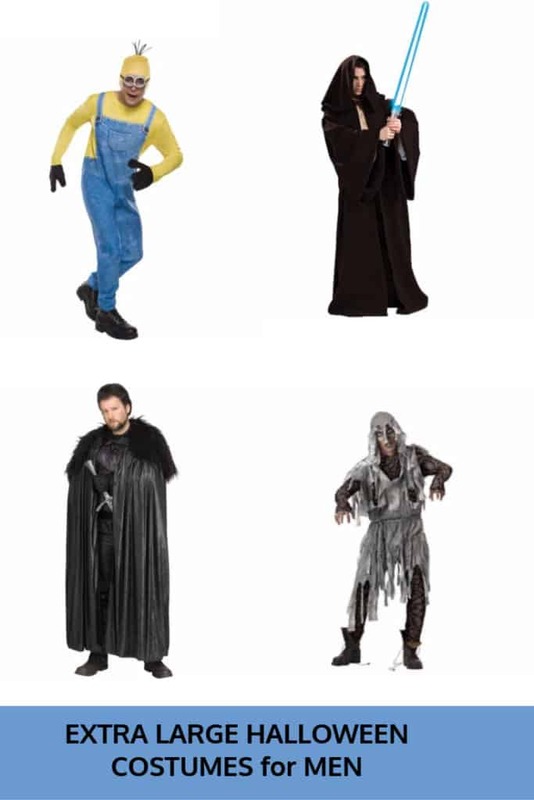 All of these costumes are available in plus sizes for men.